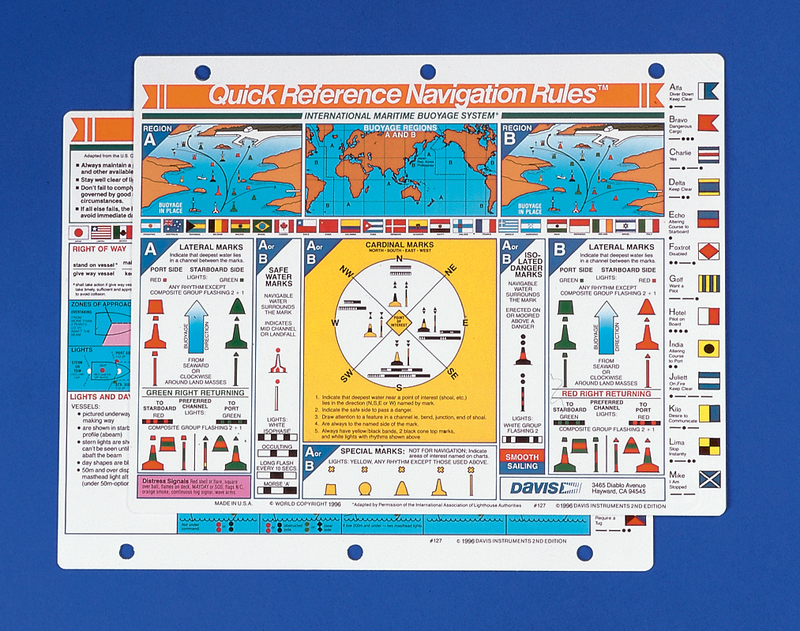 These very popular reference cards embody an enormous amount of information on each of their respective subjects. They make a great general review, or a way to refresh yourself on some small aspect you may have forgotten. Weatherproof high-strength plastic, full color both sides, and punched for binder or bulkhead mounting. 8.5 x 11 inches.